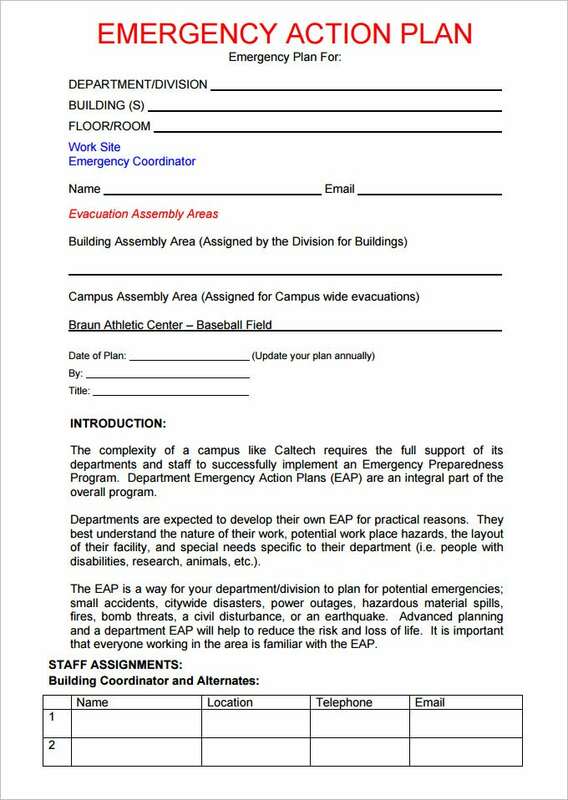 Emergencies are those situations that no one is ever ready to handle. 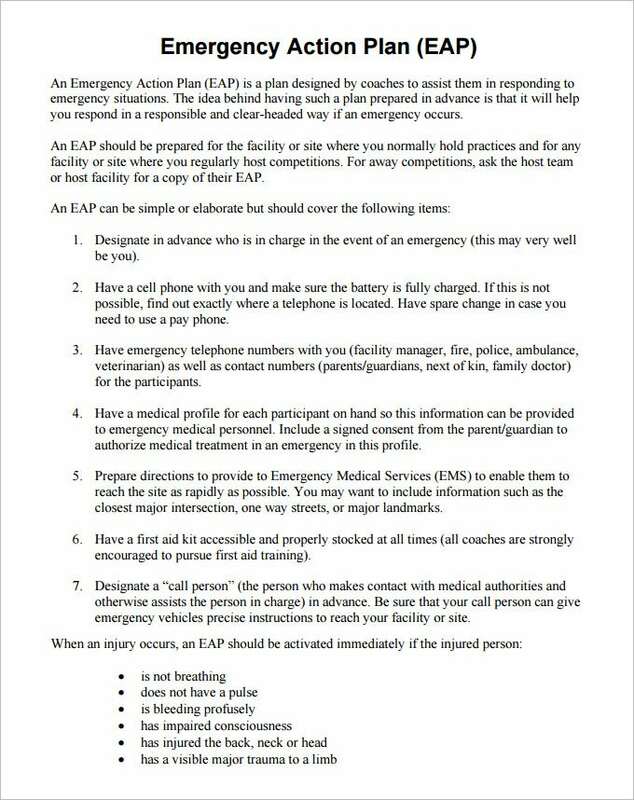 Emergency will always get you unaware. 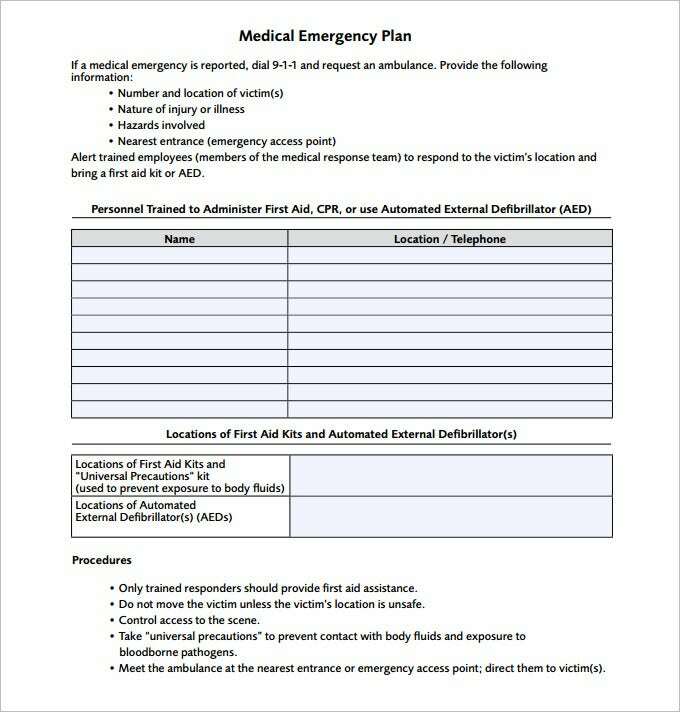 It could be some bad news like someone passing on or that appointment that needs your attention, and is on the weekend, just the time you planned to spend with your significant other on a date. 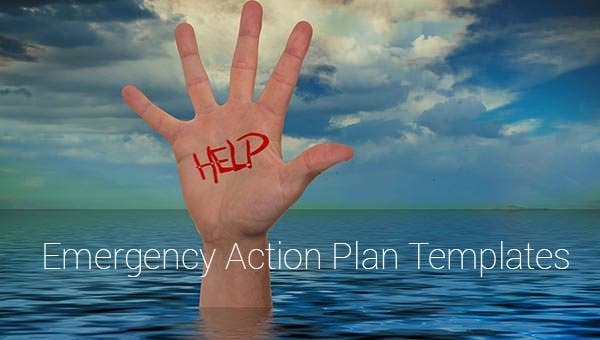 Most of us are not always ready to handle tough situations, and the reason could be the lack of an appropriate to handle emergencies when they happen. 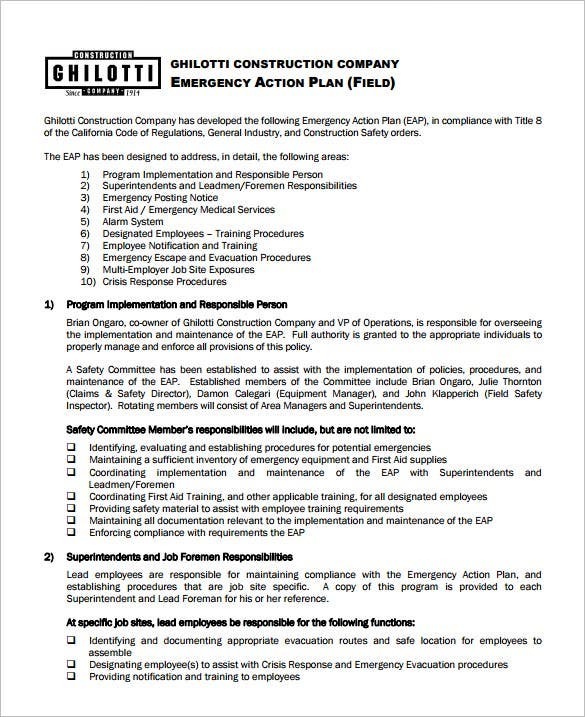 You can also see Action Plan Examples. 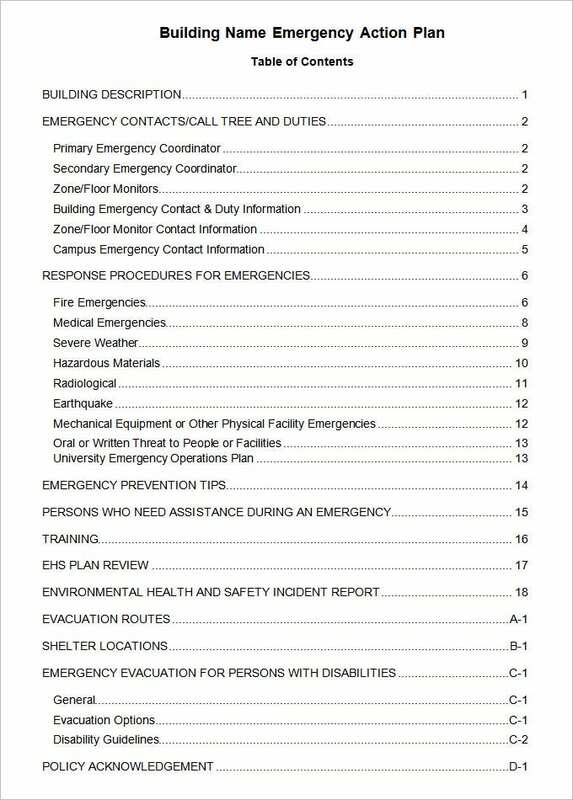 The Sports Emergency Action Plan Template can be created with Free Word where it should have the list of the components, equipment, transport and non-medical equipment for the emergency purpose. 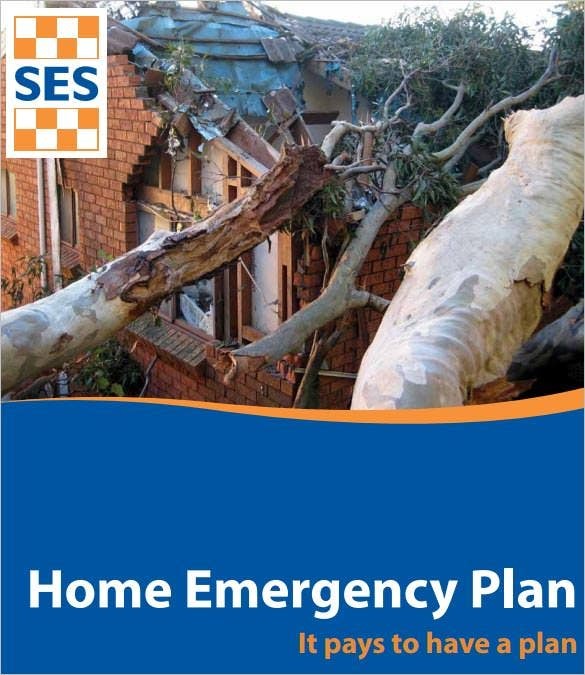 The Home Emergency Action Plan Template can be simply created with the Excel which will have the details of the necessary action plan which you should follow during the time of the emergency. 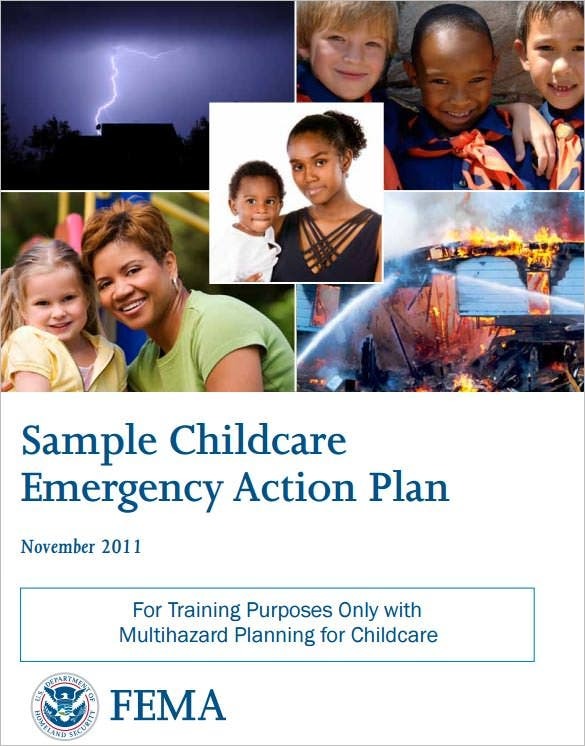 When you want to create the Childcare Emergency Action Plan Sample, use the PDF Format where you can include the related images as well as the contact information for emergency purpose. 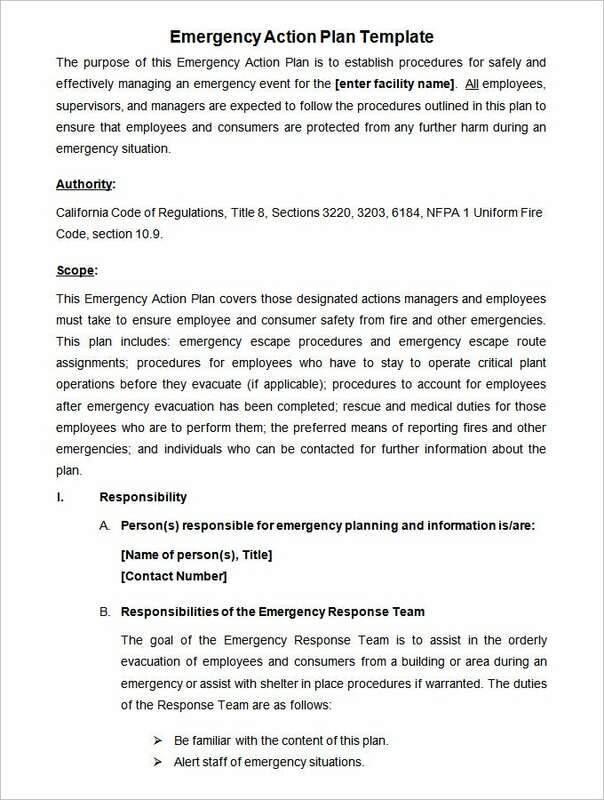 When you have to create the Office Emergency Action Plan Example, list the options of the correct steps that one needs to follow during the time or fire, earthquake or other emergency. 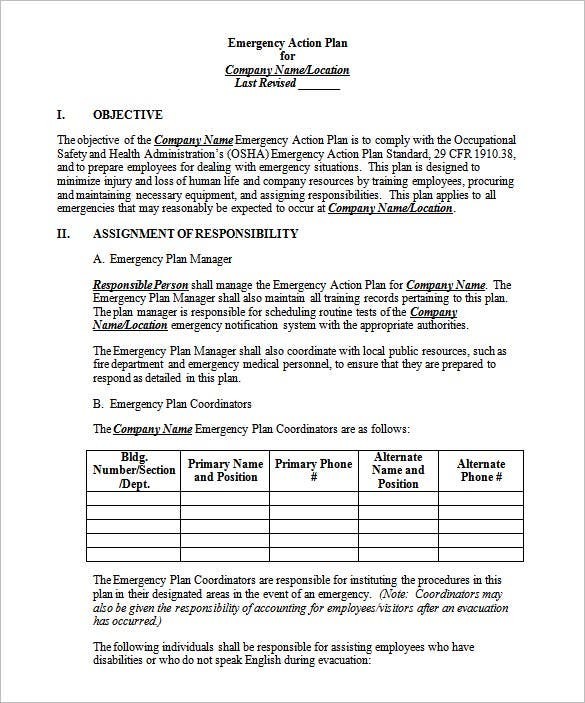 When you are planning to create the Construction Emergency Action Plan Template, include the detailed responsibilities along with the contact information of the people who will assist the others to follow the steps. 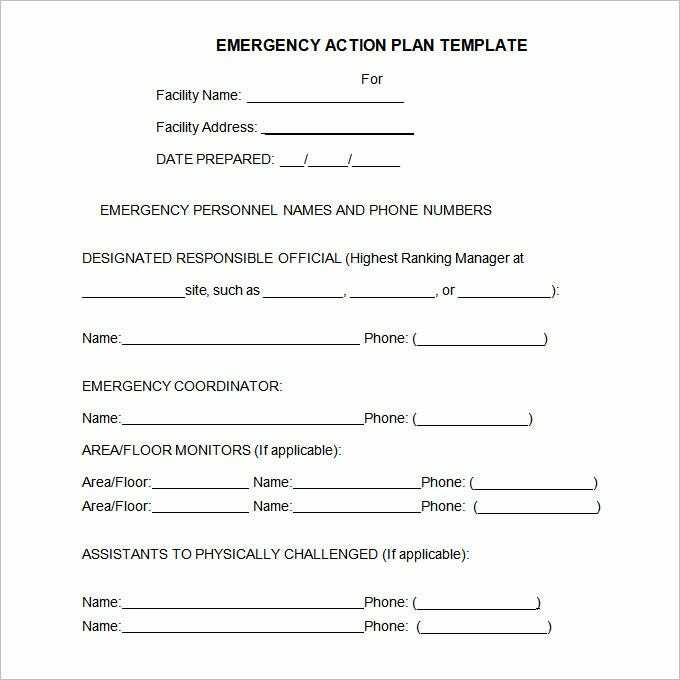 There is always a way to get ready for anything, and that includes being ready to handle the unseen situation, whether good or bad. 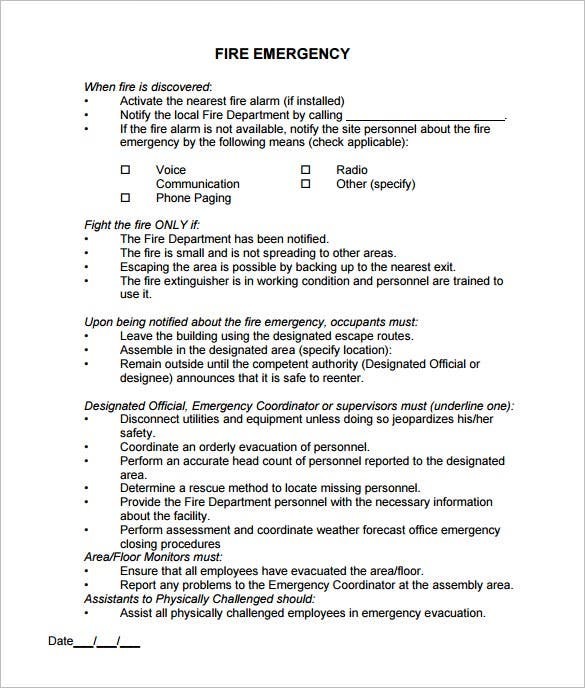 People have adapted to the use of Emergency Action Template to outline what they will do in the event of a situation that inconveniences them. 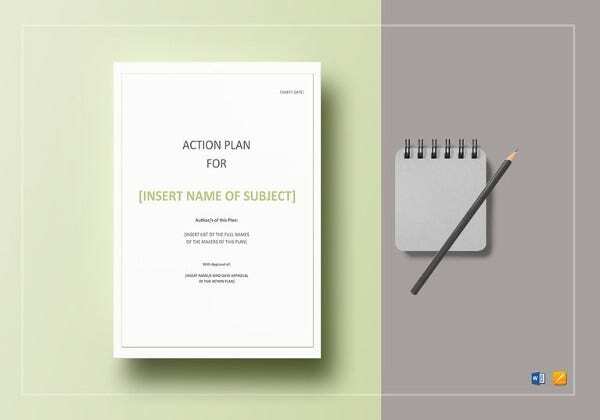 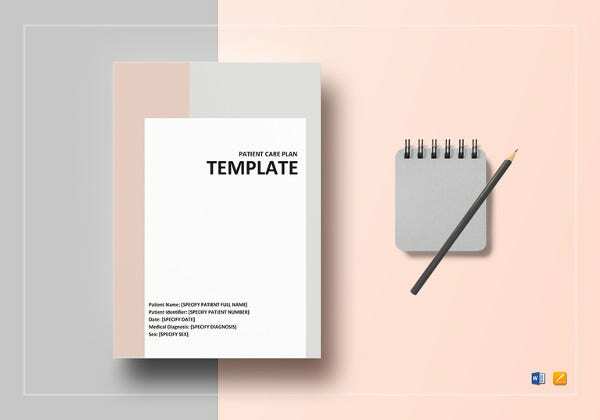 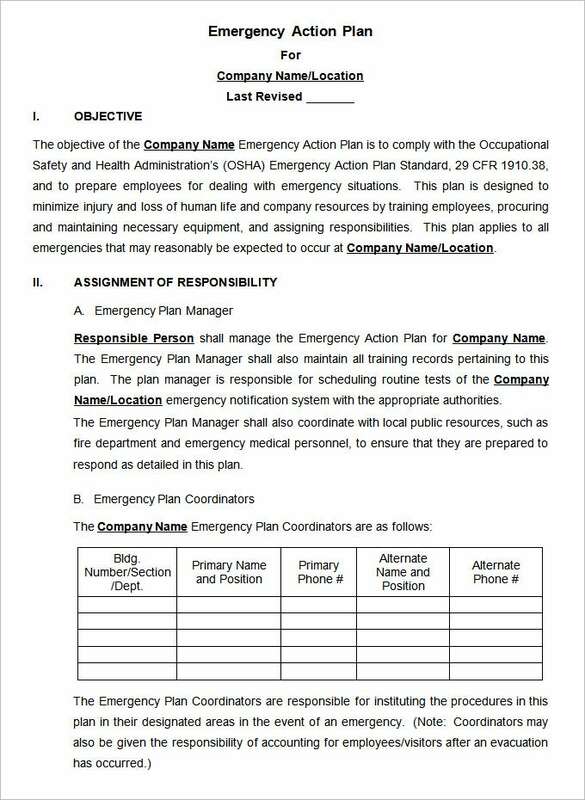 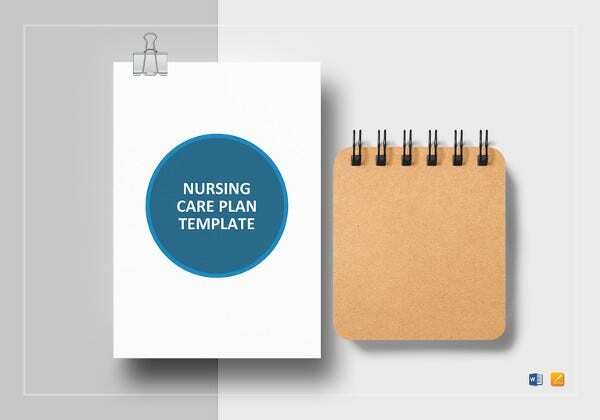 You cannot go wrong with these premade Sample Emergency Action Plan Templates, and you can use them to prepare early enough, especially when you have little time to think about a layout of your own.